The April HMI chat focused on learning analytics, with a rich discussion on the exciting potential for these tools as well as some caveats regarding their use. This is an exciting new area in technology enhanced education. Many interesting questions and multiple engaging discussions happened during synchronous and asynchronous chats. Learning Analytics may be a new term for many readers. Analytics refers to the collation and display of data about learners from assessments, and also from other learning activities. The evolution towards Competency-Based Medical Education (CBME) will result in an increased volume of assessment data, particularly from workplace-based direct observation of skills. To achieve the potential of CBME it will be necessary to aggregate this data in a way that informs the understanding of learner trajectories. The ‘learning’ part in Learning Analytics is also key. The main purpose of these analyses is to help promote better learning. This can be achieved by providing more detailed feedback, by using insights from analytics to guide learning activities, and by promoting reflection on areas that need more attention. Learning analytics are an evolving field and the ideal ways to display information are still being developed. 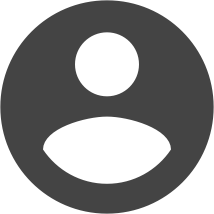 As the graphical interfaces are built, their utility for supporting learning will be a guiding principle in making design decisions. The role of academic advisors in supporting learners’ use of learning analytics is in its infancy but holds promise in helping learners to interpret their data. 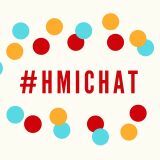 There were two spirited debates that came up during the #HMIChat that are worth recapping. The first touched on concerns about privacy and access to learner data in our interconnected world. Recent events have made us increasingly aware that assessment data can be used for purposes other than personal growth and learning. This is a significant concern for students in the health professions and highlights the importance of designing educational data collection and storage to protect the privacy and safety of learners and their future careers. Conversely, in 2018 it has become apparent that any electronic database can be ‘hacked’. Given this environment, the challenge for educators becomes to design systems that build in safety even in the event of inadvertent data access. The second debate explored whether Learning Analytics in medical education will evolve along the progression proposed by the Gartner® model, which categorizes analytics as evolving from descriptive (retrospective analyses), to diagnostic (able to categorize patterns), to predictive (able to predict future performance), to prescriptive (able to recommend interventions to improve performance). Some chat participants were confident that learning analytics will one day provide the whole spectrum of functions, while others wondered if learning is a complex phenomenon that is too difficult to model accurately. Regardless of your take on these debates, there was consensus that Learning Analytics will play a big role in health professions education, especially given the advent of CBME. As educators, we need to contribute to the development of these tools to ensure that they focus on helping our learners to reach their full potential. Rodrigo Cavalcanti is a specialist in General Internal Medicine at the University of Toronto and a Medical Educator with the Royal College of Physicians and Surgeons of Canada. He is interested in how learning analytics can help promote expertise development in healthcare education. Brent Thoma (Educators ‘14, Assessment ‘14) is a medical educator and emergency physician at the University of Saskatchewan who studies technology-enhanced medical education and is excited about the potential of learning analytics in healthcare education.